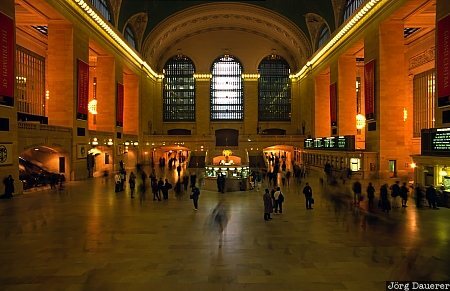 Passengers moving through the hall of Grand Central Station in Manhattan. Manhattan is the center of New York City in the state of New York at the east coast of the United States. This photo was taken in the morning of a sunny day in November 1997.